We currently own 2 Stealthcraft Hooligan XL rafts. 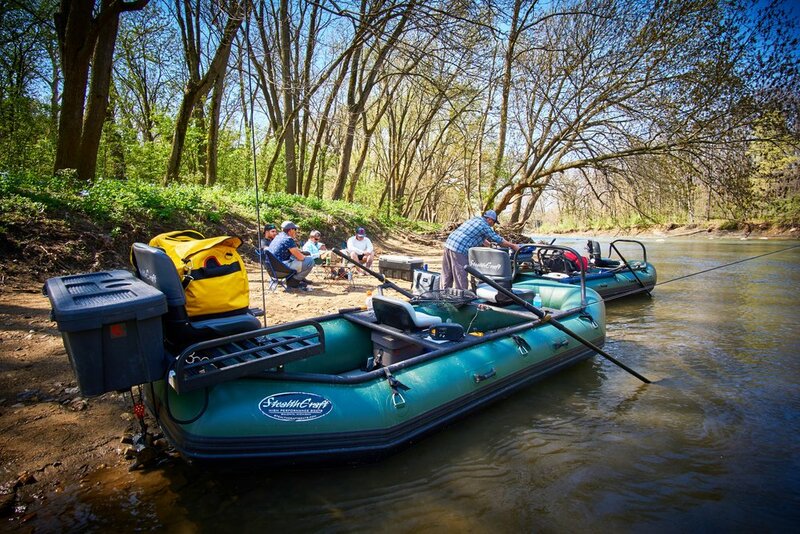 The rafts will fit up to 2 anglers comfortably, all day on the water. We use these rafts to get to certain stretches of rivers that are inaccessible by boat. You'll enjoy some very scenic intimate areas when you book a raft trip. We typically see lots of wildlife that you would not see on the larger more urban river sheds. On the raft trips you will not see any development, and most likely not see another fisherman the entire day. Best of all, there is much less fishing pressure on these sections of river. Several of the rivers available for rafts trips will have small sections of white water rapids, something a little different to experience on your next fishing trip. We currently own 2 Stealthcraft Power Drifters powered by 40HP outboard jet motors. The Jet power drifter boats will fit 2 anglers very comfortably. The advantage to using these style of boats is that we can eliminate the need for shuttling cars from the put in and take out ramps, and can therefor get to the fishing spots very quickly. If a spot is not producing, we are not at the mercy of floating the river. The power drifters are equipped with oars, which means we can jet miles up river and float down, just like a classic western style drift boat trip. We specialize in guiding for smallmouth bass, but there are many opportunities to catch carp, long nose gar, northern pike, and musky. If you have a preference for species you would like to target let us know and we will put you in the right water. Why hire a guide? - Simply put a guide has a lot of time and money put into their boats and gear. A guide puts in countless hours on the water every year, so you don't have to. You should feel comfortable knowing you have someone that is well qualified to operate a boat safely. Sit back and enjoy having your guide do everything from running the boat, making lunch, rigging the rods, pointing out fish, teaching techniques, back rowing to get that hung up fly, scheduling shuttle services for the end of the day, tying countless flies for the day, having every piece of gear for every situation encountered on the water, and having a great attitude. Through years of experience having good days and bad days your guide knows which river to be on and when. 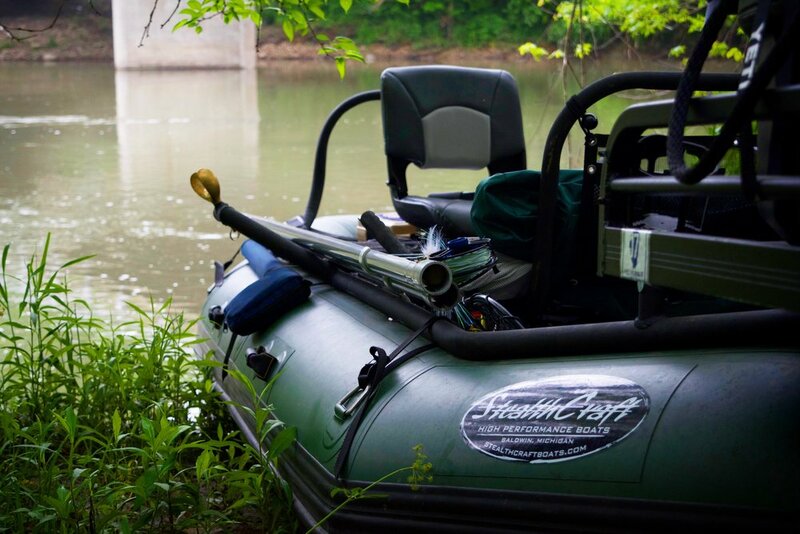 Sit back, relax, and enjoy your day on the water and soak up all the knowledge from someone who is out there on the river for hundreds if not thousands of hours every year. A guides job is to do everything he can for you to have the best experience on the water as possible. Please bring a pair of sunglasses, waders (cold months), muck boots or shoes you don't mind getting muddy (warmer months), and rain jacket. Feel free to bring your own reel and rods if you wish, but we have 4-6 rods rigged in our boats with different lines and weights for every situation and season. If your a novice angler, we are here to help in anyway we can. Feel free throughout your day to ask questions about equipment, reading water, fish patterns and movements, flies, or lesson/help with your fly casting. Our fishing guiding season starts in March and ends around November. 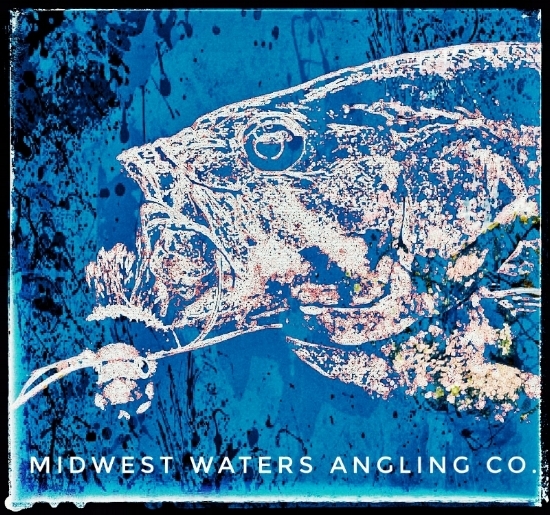 Our guides are USCG licensed OUPV Six Pack holders and are fully legal to guide on all rivers and lakes in Illinois. Gratuities of 10-20% are common within the guiding industry.